If you’ve been holding out for the new TVR Griffith, then you’re going to have to wait just a little bit longer because apparently it’s just been delayed again. But it’s fine. I can wait. I can be patient for this. 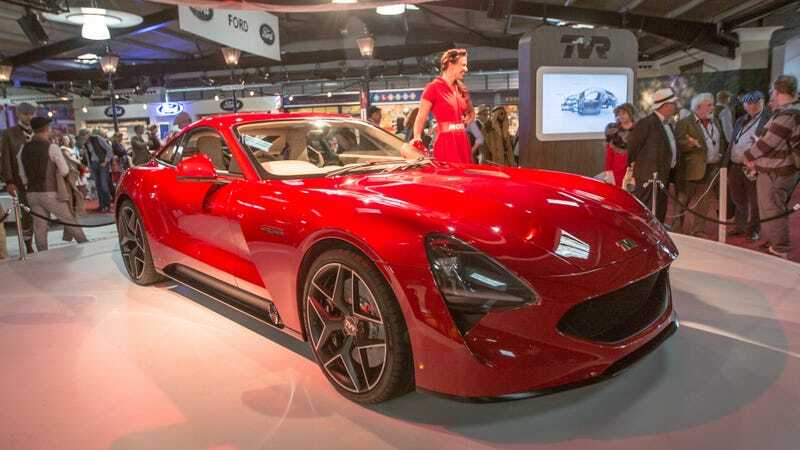 In their own words, TVR is delayed by ‘regulation’ regarding the start-up and conversion of the factory at the Ebbw Vale (South Wales) plant, which has to be installed in two existing halls. “It takes more time than we expected to start production, thanks to the rules of the European Union,” says Paul Thompson, Heritage Director of TVR, in an interview with AutoRAI.nl. “We are now aiming for a market launch in the course of 2020,” Thompson said. I would normally be a little miffed about this, but I’m weirdly not. I think it’s because the Griffith is so cool and TVR is so scrappy that I’m just happy that it’s happening at all. Take all the time you need, friends. Just build the best damn car you can. And then send it to America for us to play with. We have reached out to TVR for comment and will update if we hear back.